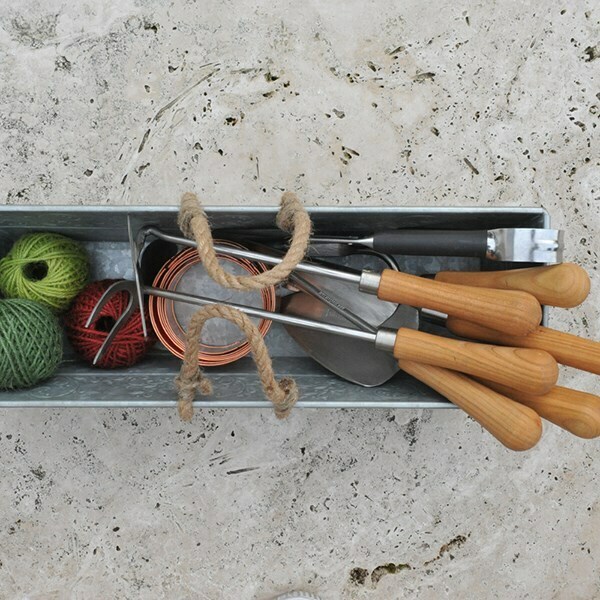 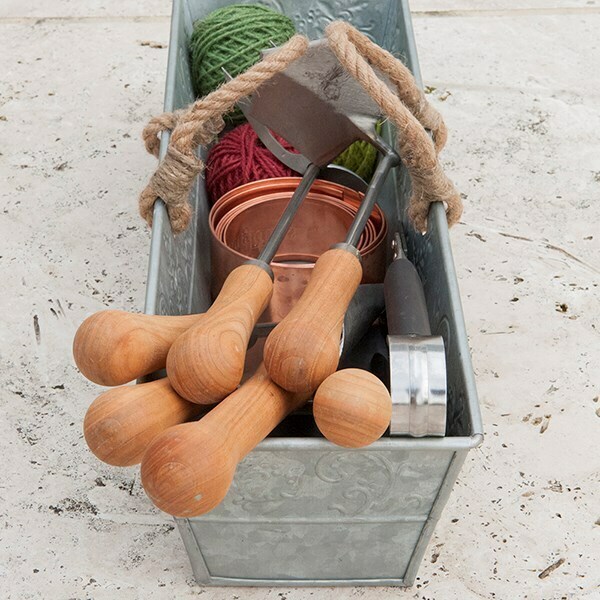 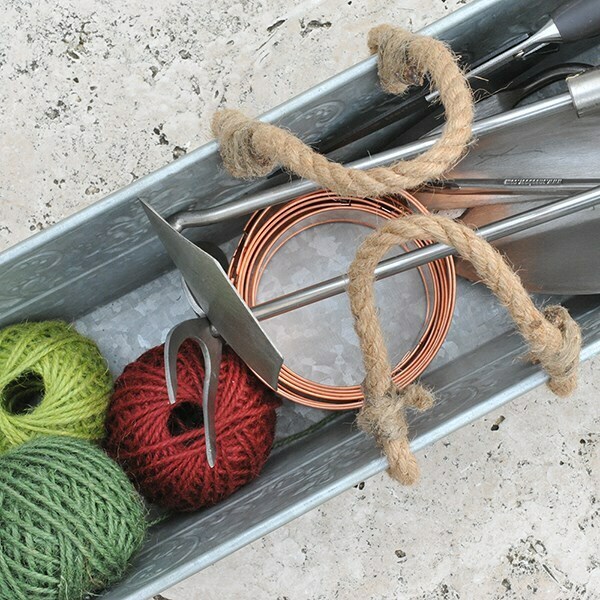 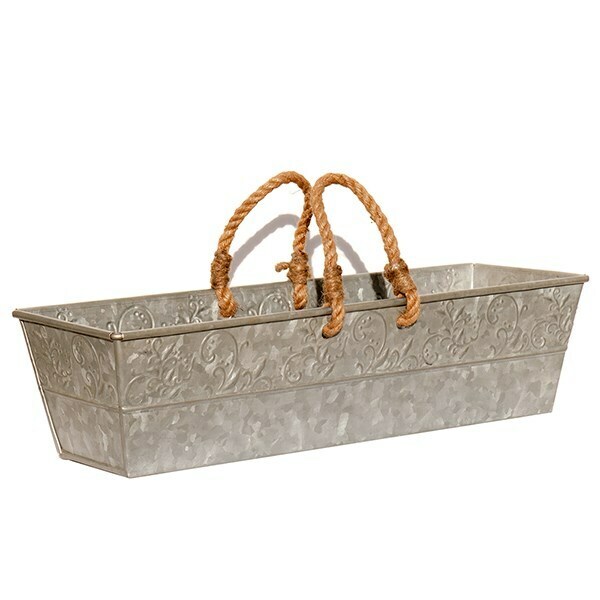 This galvanised garden trug, fitted with sturdy rope handles, makes an ideal caddy to hold essential tools or harvest your bounty - and also doubles up as a decorative planter. 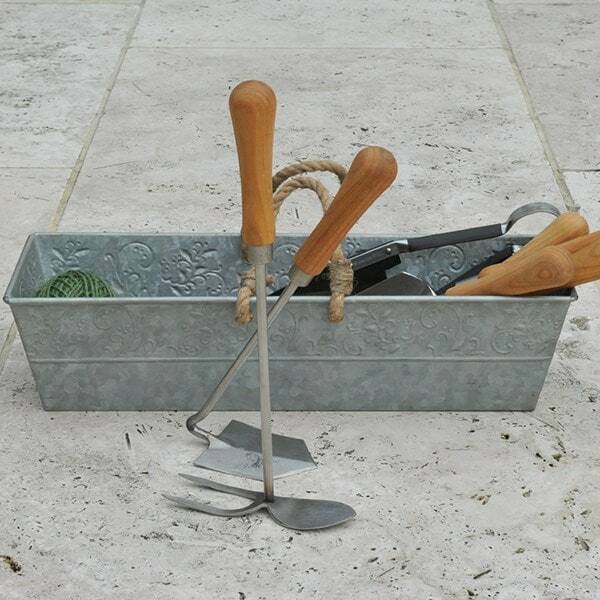 The long trug will hold up to 4 of our terracotta seedling pots to make a great feature to brighten up a dull windowsill or conservatory. 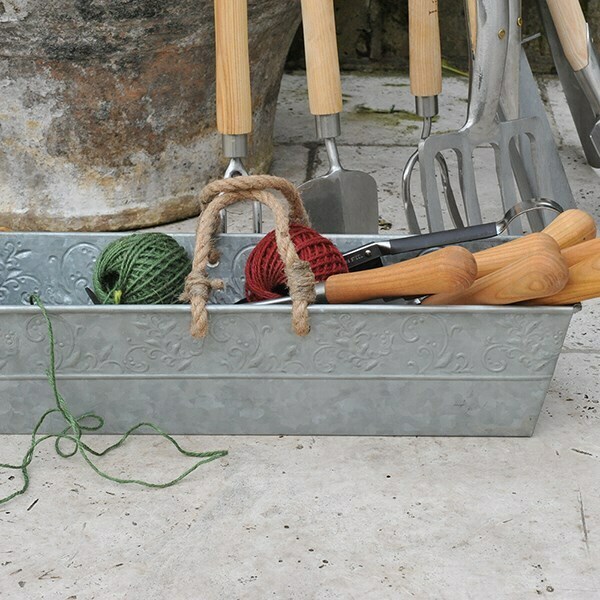 Embossed with an ornate filigree pattern, the sturdy metal trug has been designed to coordinate with some of our other best-selling troughs and planters, including our galvanised planter with rope handles.